Politicians, pollsters, media and pundits would have us believe “the economy and taxes” were the burning issues in our late, unlamented midterm elections. Don’t believe it. A 30 second campaign ad (shown below) was used by a winning Republican candidate to peddle fear. It ran on behalf of one of 60 new House members who returned Republican control to the House of Representatives. The ad was false. It arrived on the airwaves with the media backing of numerous Fox News pundits and newscasters. 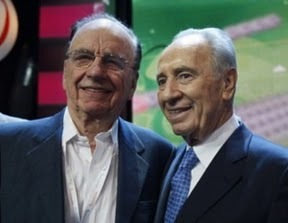 Fox News is the right wing Republican-oriented television network run by Rupert Murdoch, shown above with his old friend and ally, Israeli leader Shimon Peres. The “economy-taxes” mantra sounds reasonable enough. And there is no doubt that the uncertainty over the nation’s economic future is the source of considerable public anxiety. However, that future called for serious campaign discussions, which most politicians avoided, reaching instead for deception and fear-mongering. Renee Ellmers, a Republican House candidate in North Carolina, defeated incumbent Democrat Bob Etheridge, in a campaign in which Ellmers ran this ad which linked “terrorists” to the building of an Islamic Center–of course she called it a “mosque”– near Ground Zero in New York City. In a televised interview discussing the ad, CNN reporter Anderson Cooper confronted Ellmers with her interchangeable use of “Muslim” and “terrorist” in the ad. He was suggesting Ellmers had inferred that all Muslims are terrorists. She hedged her answer. Juvenal here makes reference to the elite Roman practice of providing free wheat to some poor Romans as well as costly circus games and other forms of entertainment as a means gaining political power through popularity. Our “bread” in the 21st century are loaves of distortions and lies which appeal not to our finer natures, but to hate, fear and ignorance. Our circuses are to be found, among other places, on news/entertainment channels like Fox “news”. The first casualty in both war and politics is truth-telling. Republican challenger Sharon Angle, who almost unseated Democratic Majority Leader Harry Reid in the race for Reid’s Nevada Senate seat, never repudiated a lie she repeated during her campaign that Sharia Law is enforced in Dearborn, Michigan. Asked how she knew this, Angle said she had read it, somewhere. The right wing media world repeats these lies so often they become the “truth”. The Godfather of that media world is Rupert Murdoch. In a recent speech at an ADL (Anti-Defamation League) dinner, Rupert Murdoch, arguably the most influential mainstream media chief on Planet Earth, made some extraordinary statements which must be challenged. . . .
That was Murdoch’s carefully understated way of endorsing Zionism’s assertion that for the first decades of its life Israel lived in danger of annihilation, the “driving into the sea” of its Jews. Talking Points Memo (TPM) identified a cadre of victorious midterm Republican candidates as “crazies”, candidates swept into office with the support of right wing voters who find their” truth” inside the “right wing media bubble” dominated by Murdoch’s Fox News. TPM identified Ellmers as one of the “crazies”.
. . . built his conservative political career on a particular event from his own military service — when he tortured an Iraqi policeman, and was proud of it. The incident ended his time in uniform, and launched him on a track to Republican politics. West ran against then-freshman Democratic Rep. Ron Klein in 2008, losing by 55%-45%. In this strong Republican year, he won by 54%-46%. What have so many voters done to themselves by electing candidates who use hate-driven fear and ignorance to win back the House of Representatives? By electing a House majority, the voters have drastically shifted power in the Congress. The voters handed control of House committees to Republicans. Many of the new committee chairs have records that do not bode well for the causes of peace and justice, or a human rights agenda. Elections have consequences. Ellman and West are now part of the new Republican House majority. They join veteran House members, Steve King (Iowa 5th CD), back for his fifth term, and Michele Bachmann (Minnesota, 6th) who was elected to a third term. What exactly does this “conscience of America” bring to our congressional table? 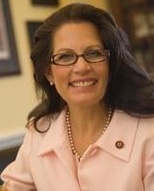 Bachmann is among those spreading the ridiculous rumor that President Barack Obama’s trip to Asia, including India, will cost $200 million a day. In 2010 dollars, President Clinton’s 10-day visit to Africa over a decade ago cost about $5 mn. a day. That is probably ballpark for Obama’s trip as well. The Pentagon called ridiculous the idea that a tenth of the navy (right wing fantasy radio alleges 34 battleships) will be diverted for the trip. What Bachmann does not know (and what she does not know would fill a parallel universe) is that even if the allegations were true (which they are not, being off by a factor of 40), it might be worth it. Obama will be in India three days during the 9-day trip, so let us attribute a mythical $600 million to Obama’s stay there (again, a fantasy– it is more like $15 mn. in all likelihood–but let’s play the game). India’s external trade with the United States in 2009 was roughly $37 billion. But India’s ambassador to the US, Meera Shankar, has just predicted that US-India trade will grow to the level of $50 billion a year by next March, i.e., it will increase 30% over 2009 levels. That would be an increase of roughly $13 billion over the 2009 total. Obama isn’t going to India for his health. It is hard to overstate the importance of Asia to our economic future. Asia is home to three of the world’s five largest economies, as well as a rapidly expanding middle class with rising incomes. My trip will therefore take me to four Asia democracies–India, Indonesia, South Korea and Japan–each of which is an important partner for the United States. The more we export abroad, the more jobs we create in America. In fact, every $1 billion we export supports more than 5,000 jobs at home. Going to Asia immediately after the midterm elections was a good idea when you realize that exporting goods produces more jobs in the US. Does Congresswoman Bachmann understand this? Another big shift in Congress created by this election was the elevation of conservative Republicans to House committee chair positions. A major committee, the House Foreign Affairs Committee, will now be led by Republican Florida Representative Ileana Ros-Lehtinen. Ros-Lehtinen has been a force on the committee for years as the vocal, passionate, sometimes combative ranking Republican. A Cuban-American lawmaker from a heavily Jewish district, Ros-Lehtinen has staked out firm positions on several issues that stand in contrast to now outgoing chairman Howard Berman (D-CA). Her ascendancy as chairwoman will change the tone and agenda of the committee and will pose new challenges for the Obama administration’s efforts to advance its foreign-policy agenda. Over the mid to long term, Ros-Lehtinen is poised to thwart Obama’s efforts to move toward repealing sanctions on Fidel Castro and resist any White House attempts to pressure Israeli Prime Minister Benjamin Netanyahu. She isn’t likely to move Berman’s foreign-aid reform bill through the committee and she is likely to seek cuts in the foreign-aid budget in her authorization bill. The most powerful House Republican foreign policy chieftain in the next Congress is both a hard line Zionist and a leader in the anti-Castro House caucus. She will be joined on the anti-Castro front by another Floridian, the newly-elected Senator Marco Rubio, who is also Cuban-American with strong anti-Castro credentials. The Cable blog predicts that Ros-Lehtinen will “most likely seek cuts in the foreign-aid budget in her authorization bill.” Will Israel’s foreign aid annual gift be a target of those cuts? Of course not, that’s not aid, its security. And speaking of Israel, Common Dreams reports that AIPAC looked down upon the 2010 midterm election and pronounced that it was good. America’s largest pro-Israel lobby group on Wednesday hailed the results of midterm elections in the US. which saw staunch supporters re-elected to Congress on both sides of the party political divide. “Many of the strongest friends and supporters of the U.S.-Israel relationship were reelected on Tuesday,” the group said in a statement. . . .
“It is abundantly clear that the 112th Congress will continue America’s long tradition of staunch support for a strong, safe and secure Israel and an abiding friendship between the United States and our most reliable ally in the Middle East,” AIPAC said. There may be no joy among Mudville progressives, because so many mighty Caseys have struck out. But rest assured, there is considerable joy in AIPAC-land because the new Congress is even more solidly pro-Israel, thanks to the addition of a number of new Christian Zionist House and Senate members eager to demonstrate their faith in Israel. And this is why Jewish settlers are on a rampage, more furious and cruel, than ever before. As long as we are to be against an authoritan, political and theocratic ideology, let’s start with Christian Zionism. It is as anti-Jewish, if not anti-semitic, as any. Israel could care less, as long as it continues to send aircraft-vessels full of American tax-payer money (in the multi billions) to them on a regular basis. Until this ideology is expunged from Washington, both Democratic and Republican, there will never be substantive changes in our political culture. This is a great essay, Jim. Thanks for taking on Rupert Murdoch in such a robust way. An essential “Wallwriting,” as we have all come to expect. 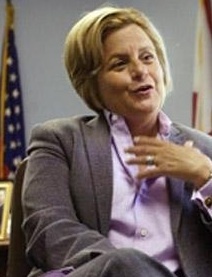 Ros-Lehtinen truly frightens, and repulses, me. NOTHING will escape “her” committee that has any hint of balance or sanity or justice in the tragic MidEast/Holy Land/Palestine morass. The hapless Palestinians can’t catch a break…and our own vital national-security interests take a back seat to this zealot’s Israel-first/Zionist ideological mindset. Pity the Cubans, as well…. Combining the results of the US midterm elections (I am embarrassed that Kirk now sits in Obama’s Senate seat) with a drive through the enormous Ariel settlement and industrial complex right in the middle of the West Bank, discovery of the John Hagee auditorium and road named after him in the settlement, and a take-my-car-and-baggage apart inspection (including a take-down-your-pants look at my bionic hips) at an Israeli checkpoint … and I am less than optimistic about our elected leaders doing anything to restore justice to this part of the world. Happily, I picked olives with a lovely Palestinian farmer and his family yesterday and worshiped with gentle Palestinians in Zababdeh this morning, and, with them, there is always hope. Facts: We no longer give”foreign aid”(non-military) to Israel. Congress is appropriating about $3 billion/ year 2008-2018, with the stipulation (by annual legislation) that 74% of the approrpriation be spend in US industry. We also appropriate about $2 billion/year (maybe both military and non-military aid, I don’t know) to Egypt, and also large appropriations for military purposes to Saudi Arabia. Israel + Egypt “aid” appropriations are more than half of our entire “foreign aid” appropriations. My only hope is that such a powerful article is reaching the people who need to hear it…that it is not all just preaching to the choir. I know the pain of the Palestinians only too well. It is not the Jewish Israelis that are suffering but rather the other fifth of the Population of Israel, as well as the West Bank and Gaza. It’s somewhat misleading to call it American “taxpayer money.” Like funds for our “wars” in West Asia, these off-budget appropriations depend on our borrowings from China. Or the borrowings from China, being fungible, can be used to cover other items in the US budget, freeing up US tax dollars for international ventures to support what many currently in charge believe to be America’s manifest destiny. It is ghastly, and it would seem that there is no hope. Unless some people with power and money can publicise and publish true information about the Palestine holocaust, and get past these horrendous inhumane and rather unintelligent Republicans. Wish I had the money! But what can a powerless person do? “It is essential that the sufferings of Jews become worse. This will assist in realization of our plans (a Zionist state). I have an excellent idea. I shall induce anti-Semites to liquidate Jewish wealth. The anti-Semites will assist us thereby in that they will strengthen the persecution and oppression of the Jews. The anti-Semitism shall be our best friends,” from Theodor Herzl’s Dairy, Part 1, p.16. On October 13, 2010 – one of the most powerful Israel Lobby groups, and Jewish Supremacist organization, Anti-Defamation League (ADL) honored the mainstream media tycon, the billionaire Rupert Murdoch – for his “stalwart support of Israel and his commitment to promoting respect and speaking out against anti-Semitism”. 1. Israel has received over US$3 trillion in USAID including US$3 billion military aid annually. Israel has sucked US$93 billion from Germany as “compensation” for Nazi crimes. The Jews also received US$7 billion from Swiss banks for “stealing” kosher bank accounts. 2. Since the establishment of Zionist entity on an Arab land in 1948 – Every US administration has told the world that an attack on Israel will be considered an attack on United States. 3. The head of governments in the US, Canada, Spain, France, Germany and Britain are proud to be “friends” of Jews and Israel. Ben Obama, Stephen Harper and David Cameron has the largest numbers of Jewish or pro-Israel cabinet ministers in the history of United State, Canada and Britain. French President Nicolas Sarkozy’s mother was Jewish and so is his wife and he has allegedly worked for Israeli Mossad before enter politics. Maybe it is time for the Progressive Movement to focus on one thing and one thing only: getting the big money out of our politics. A constitutional amendment may be the only way. It seems impossible but miracles do happen. We the people need to take back our government from ALL special interests. The special interests with all that money are destroying not only US democracy but the welfare of the entire planet.